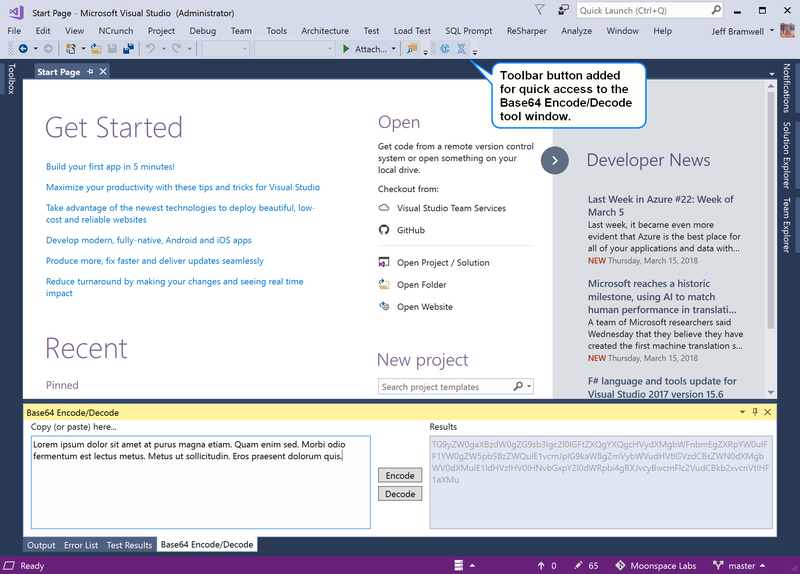 Provides a Visual Studio Tool Window for Base64 encoding and decoding of text. 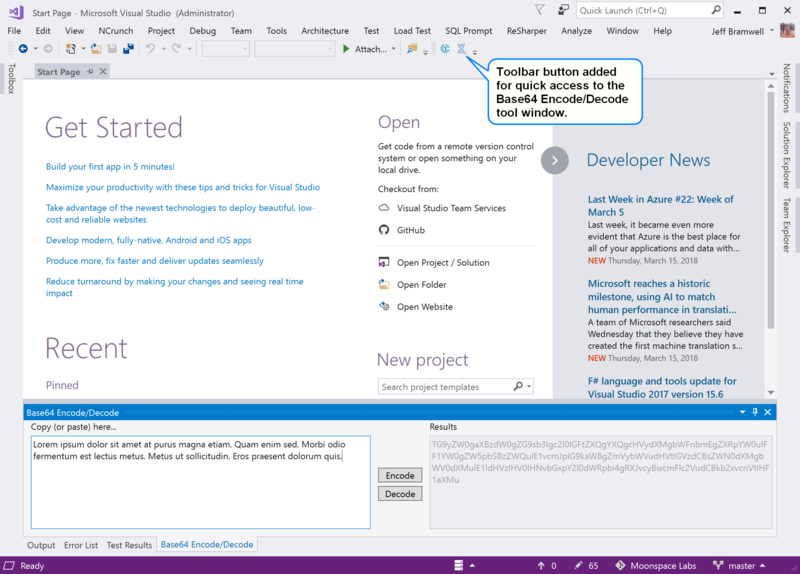 This is an extension that provides a tool window within Visual Studio that provides you with the ability to Base64 encode (or decode) text. Instead of bouncing out to your favorite web browser to encode/decode your data, you can do it from the comfort of the Visual Studio IDE! Once you have installed the extension, click on the View menu, Other Windows and then Base64 Encode/Decode. 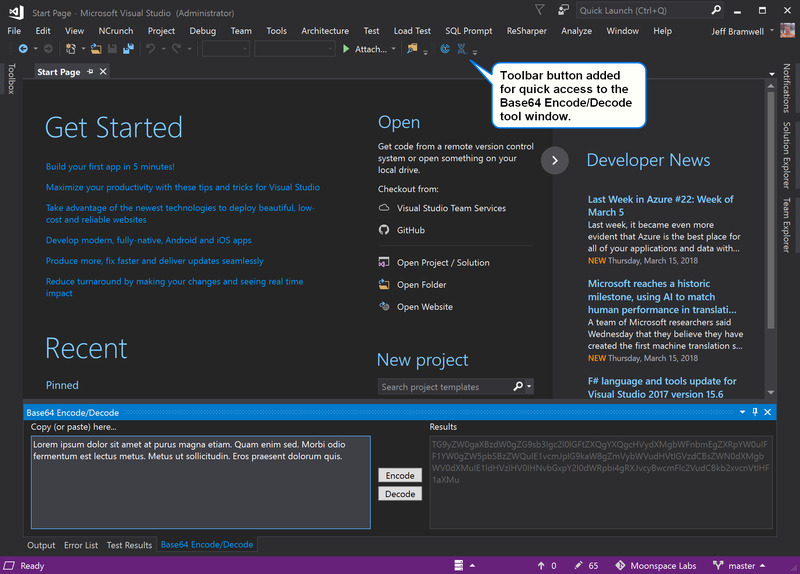 Once the tool window has been displayed, you can dock the window anywhere you like, just like any other window in Visual Studio. If desired, you can add a toolbar button to an existing (or new) toolbar for quick access. See the screenshots below for an example of where a toolbar button has been added.